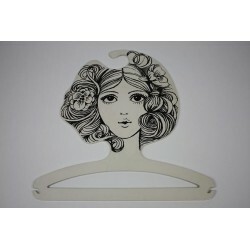 Plastic design clothes hanger with a caricature-like depiction of a woman. 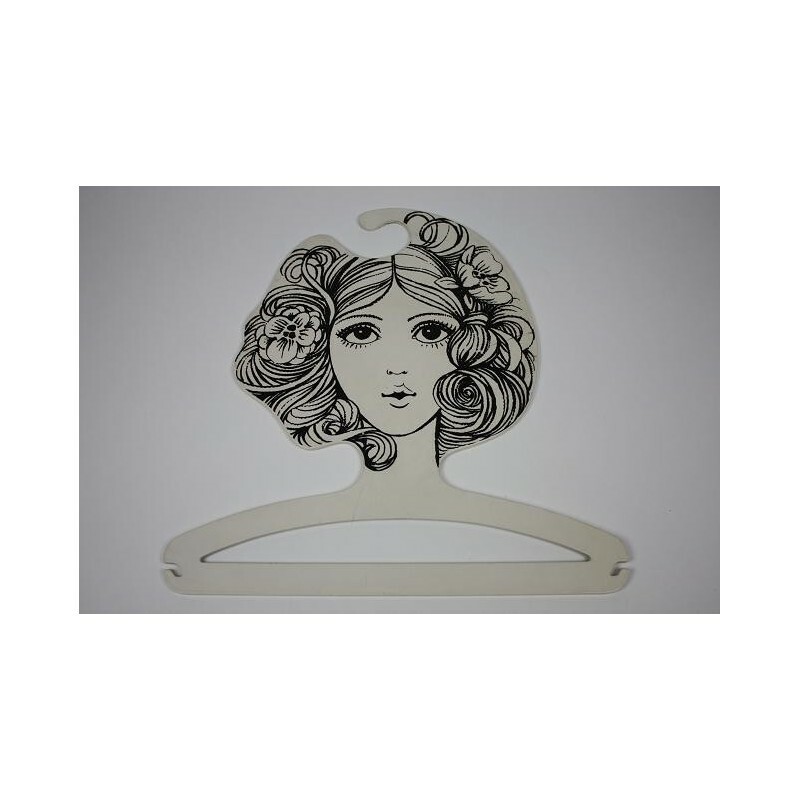 The clothes hanger is in good condition and is geprodureecd in W-Germany. The size is 36cm B / 36.5 cm H.